The town has a medieval atmosphere with elegant renaissance buildings. It’s imposing fortification dates back to the time of the Etruscans. Here, it is pleasant to stroll through the ancients streets and alleys with its many craftsmen’s ateliers. A stop in the main piazza is a must with its impressive town hall and medieval buildings. The Etruscan Museum is located in the elegant Palazzo Casali, where one can admire numerous artefacts of the ancient Etruscan civilization. One of the most important pieces is a bronze chandelier dating back to the 5th Century B.C. In September 2005 a new wing was inaugurated making this the most important Etruscan museum of the region. Not to be missed the “Annunciation” by Beato Angelico in the Diocesan Museum, the most important work of art on display. The painting dates back to 1430. Cortona is located just 6.5 km from the hotel perched on top of a hill. 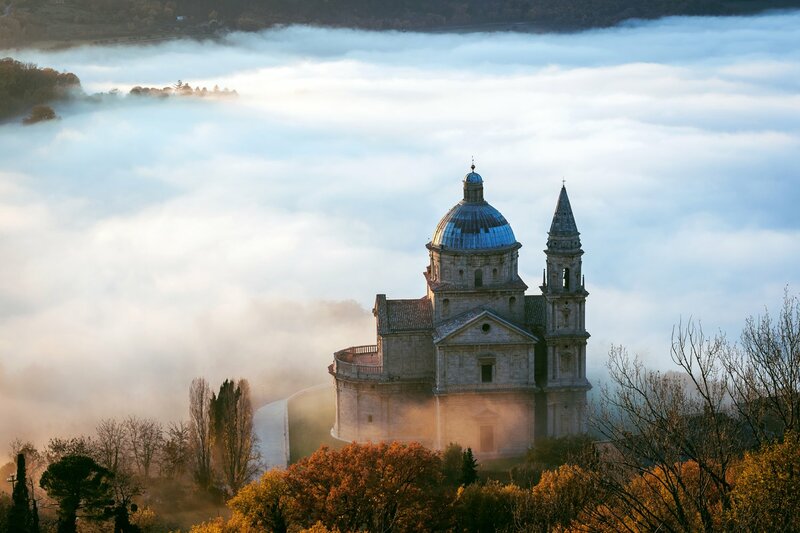 It is located in the province of Arezzo, on the border with the province of Siena and the Umbria region. The town is easily reachable by taxi. There are two local train stations in the area: Camucia-Cortona and Terontola-Cortona. From here it is possible to take a train for a day trip to Florence or even Rome. An event not to be missed is Cortonantiquaria, one of the most interesting national antique fairs. The event takes place every year in the halls of Palazzo Vagnotti and Palazzo Casali, from the last Saturday of August to the second Sunday of September.